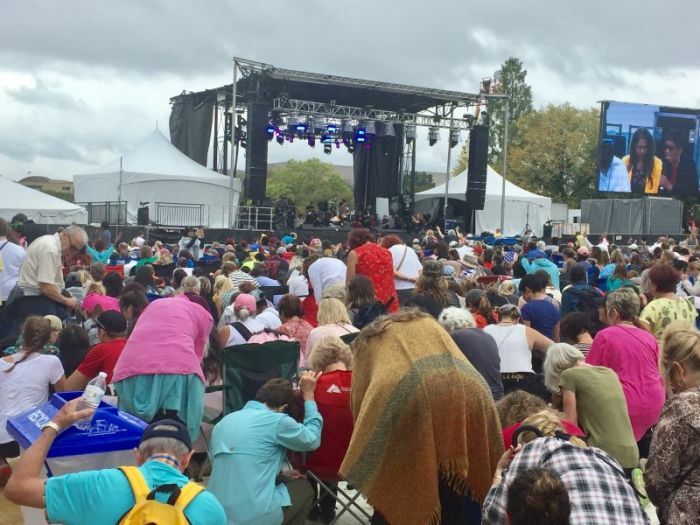 WASHINGTON — Thousands of Christians from across the United States took a knee in prayer on the National Mall on Columbus Day, just blocks away from the U.S. Capitol, to ask God to forgive the racial sins of America's past and let reconciliation and healing sweep the land. 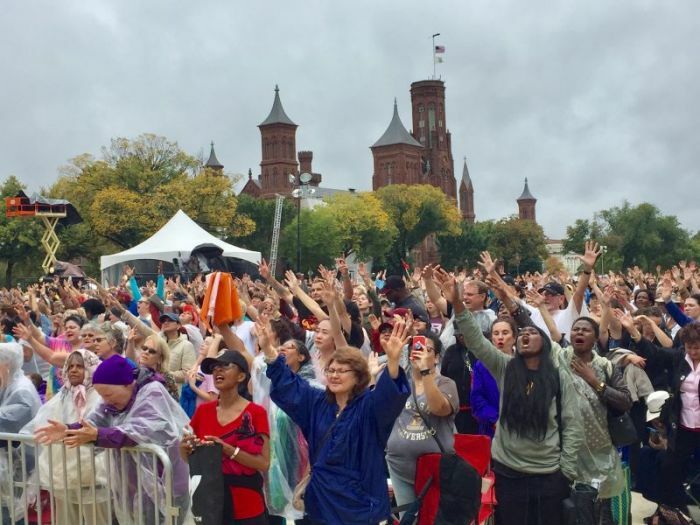 This weekend's "Awaken the Dawn" festivities, in which Christians from every state in the nation set up tents in the nation's capital to proclaim the name of Jesus Christ, culminated Monday in the form of a women-focused prayer rally attended by Christian women of all different ethnicities, races and denominational backgrounds. Despite a downpour in the morning, droves of Christian women trudged through the mud and the precipitation as they participated in "Rise Up," a worship assembly organized by charismatic Christian leader Lou Engle's The Call to pray for racial reconciliation, an end to gender-based injustices and an end to abortion in the U.S.
Nearly two months removed from the violence that occurred during a white nationalist rally held in Charlottesville, Virginia, in August, "Rise Up" participants cried out for God to forgive the nation's tolerance toward the injustices that have impacted the lives of racial minorities. The niece of American civil rights icon the Rev. Dr. Martin Luther King Jr., Alveda King, said in a morning prayer over the loudspeaker that "we, as a nation, have rejected [God's] truth of Acts 17:26" and have "embraced a sinful lie of racial division" that has led to the "sin of injustice and racism." "Acts 17:26 says we are one blood — of one blood, God made every person to live together," King, a pro-life activist, explained later in the program. "So we break the sin of the lie of racism. We are not separate races. We are one blood. We can live together as brothers and sisters. I decree that we will not, in this nation and across the world, we will not perish as fools. We will return to God." As the ongoing national anthem protests by NFL players seeking to raise awareness about police violence against African-Americans has continued to put police brutality and the country's racial division in the national spotlight, "Rise Up" worshipers made their own statement of unity by kneeling in prayer. "Let's show the world what taking a knee really means," one African-American rally leader told the audience. "Let's show the world what it means to deal with a holy and righteous God, who is bringing healing for the pain that so many African-American women have faced when they got the phone call that their child had been shot in the street, that so many African-American woman feel when they leave that abortion chamber and they had to leave their babies in the containers after being targeted by the abortion industry. "Can we feel that pain and can we take a knee that our most holy and righteous God would sweep away that pain now?" the woman continued. "When we stand up, I want us to stand up in the affirmation that God was heard and healed our land in Jesus name." Nicole Johnson, an African-American woman who traveled from Yorktown, Virginia, to attend "Rise Up," told The Christian Post that she was glad to see everyone taking a knee. "I am actually glad this is happening. This is what is needed. This is what is supposed to be going on in the Christian body. We are supposed to be effecting the change and not relying on the government," Johnson said. "I bless President Trump and his administration. But at the end of the day, we, the people of God, are supposed to take charge on this. I am thankful and blessed this is happening and I am glad to be here. "We are supposed to be the ones picking up the cross and taking care of all these issues and I really believe, I really believe that if we begin to understand and walk in our authority as God has called us, we could get a lot more stuff done as a Church and the body of Christ." Saadia Sullivan, a Hispanic Christian from Newport News, Virginia, told CP that seeing Christians of different races coming together to pray for racial healing and pray for the nation showed the desire for "unity" and the desire to "break the racial divide." 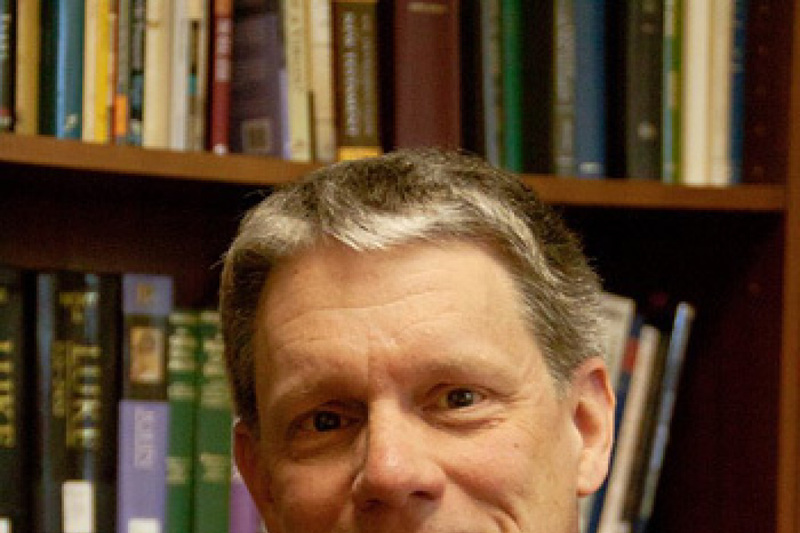 "You see some churches that are predominantly white and some churches predominantly black. God wants us together," Sullivan stressed. "It's OK to have your separate church, but come together for a cause." Before the crowd knelt in prayer, Cindy Jacobs, a white Christian ministry leader who founded the prayer ministry Generals International, apologized directly to a group of African-American mothers and grandmothers for the "culture of fear" that has been created in the nation. "I talk to so many African-American mothers and grandmothers who say, 'I am afraid to send my baby out.' I am so sorry that you are afraid that if your sons drive a car, they are going to be shot. I am so sorry. We can't gloss over it! We can't gloss over it! It's sin and causing lots of pain!" Jacobs cried into the microphone. "I am sorry that we have made your sons and daughters fear for our police, many of them are so good, there is a fear. I'm so sorry for the injustice. I'm so sorry. "A baby shouldn't be afraid they are going to be shot when they drive, that they are not going to come home," Jacobs continued, as she and the mothers sobbed on stage. "Every baby counts — red, yellow, brown, black and white. Jacobs admitted that despite this "culture of fear," Americans don't quite know how to "fix it." "We are so sorry. This is wrong. Lord, we don't know how to fix it. We don't know how to fix it," Jacobs distraughtly cried. "Father, forgive us for hatred. Forgive us for murder. Forgive us God! Help us to love the way you love Jesus. Give us more love." After those in attendance rose from their knees, King told Jacobs that she is forgiven, saying that she must forgive the sins of racism so that she receives forgiveness from God. "[My uncle] continually said to forgive, be one blood, one race, learn to live together as brothers and sisters," King said. "My sons have been to jail and I know many black men have been to jail and been killed. It's an unjust unbalanced system. Lou [Engle] is right. He called of us together under God so that we could get right down to it."